The model - announced on 11th May 2001 was the future release (June 2001) of Dennis Condor DA2 in original CMB air-conditioned livery. This model is a joint venture between Car's Workshop and Drumwell, being released in Hong Kong on Saturday 16th June 2001. 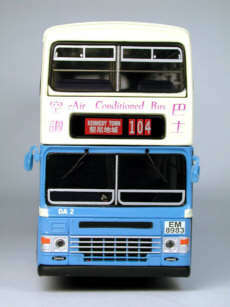 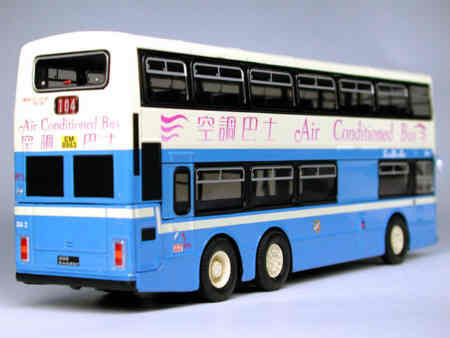 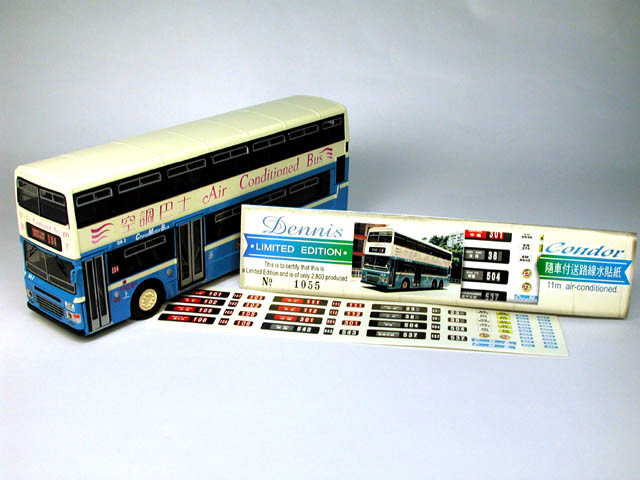 EFE's second mailing of 2002 mentioned two special 'Subscriber Offer' Hong Kong models, one of which is a China Motor Bus 11 metre Dennis Condor, which turned out to be this model. 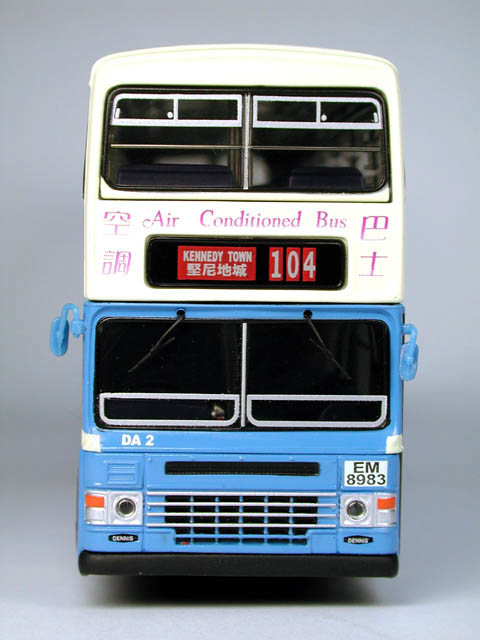 It is known by EFE as 99504 and was despatched to those who ordered it through the EFE 'Subscriber Service' in April 2002. 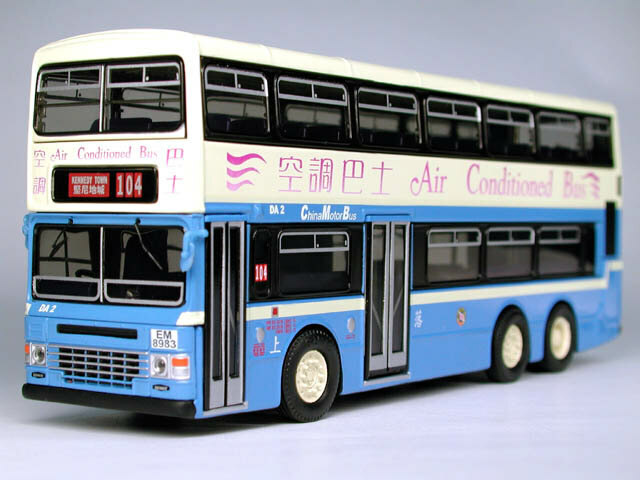 The bus - DA2 entered service with China Motor Bus (CMB) in July 1990 and was one of a class of 92 such vehicles delivered to CMB between July 1990 and September 1997. 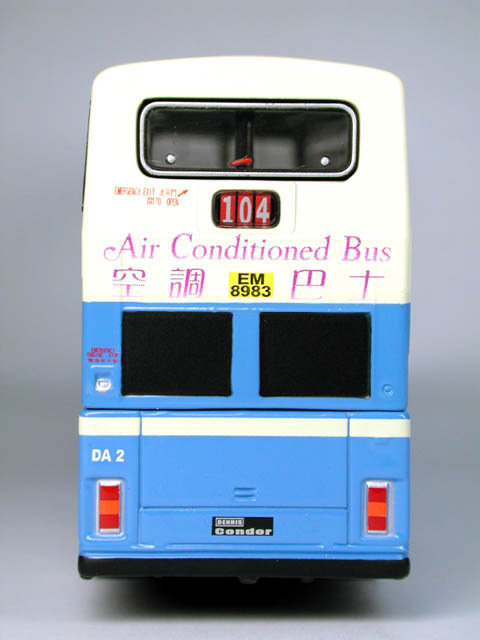 It carried the new air-conditioned livery.